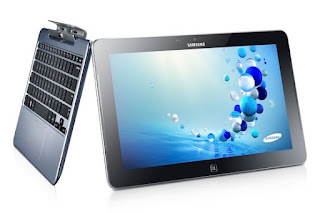 Samsung, unveiled their ATIV line of devices today at the Samsung Mobile Unpacked - IFA 2012. The ATIV line comprises of three Windows 8 devices and a Windows Phone 8 device. 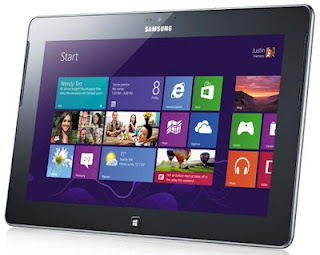 The Windows 8 devices are ATIV Smart PC, ATIV Smart PC Pro and the ATIV Tab. 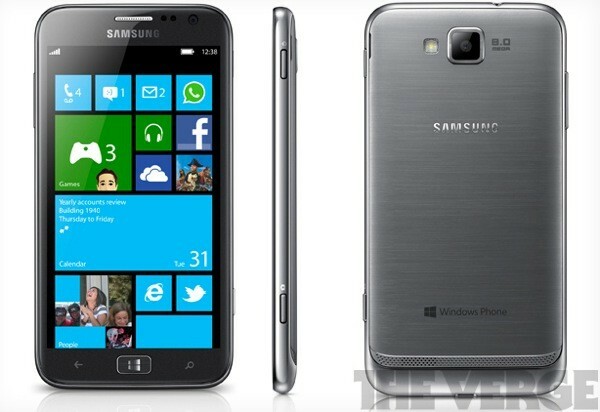 The ATIV S is world's first Windows Phone 8 device. The ATIV Smart PC has a 11.6-inch display. It is powered by an Intel Atom Processor. It has 2GB of RAM. It has 128GB of storage capacity. It has Wi-Fi, Sim Card slot for 3G, and it has 4G built-in. It is just 9.9mm in thickness and weighs only 750 grams. The ATIV Smart PC has battery life of up to 14 hours! It comes with a S Pen, which has 1,024 levels of sensitivity. 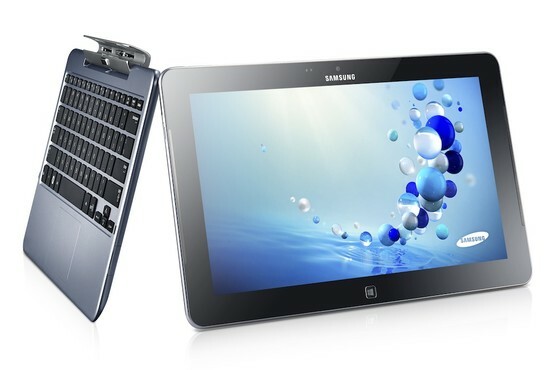 The ATIV Smart PC Pro has a 11.6-inch display. It is powered by an Intel Core i5 Processor. It has 2GB of RAM. It has 256GB of storage capacity. It has Wi-Fi, Sim Card slot for 3G, and it has 4G built-in. It is just 11.89mm in thickness and weighs only 884 grams. The ATIV Smart PC Pro has battery life of up to 8 hours! It comes with a S Pen, which has 1,024 levels of sensitivity. The ATIV Tab has a 10.1-inch display(1,366 x 768). It is powered by a 1.5GHz dual-core processor. It has a 5-megapixel rear camera at the rear with a 1.9-megapixel front-facing camera and ports for micro-HDMI as well as USB. It weighs 570g and is just 8.9mm thick. The device comes in two storage capacities - 32GB and 64GB. The device comes with a 8,200mAh battery. The ATIV S has a stunning 4.8-inch HD Super AMOLED display made from Corning Gorilla Glass 2. It is just 8.7mm in thickness. It is powered by a 1.5GHz dual core processor. It has 1GB of RAM. There is a 8-megapixel camera at the rear and a 1.9-megapixel camera at the front. The device comes with a 2,300mAh battery. The device has Wi-Fi, NFC. The device comes in 16GB and 32GB storage capacities, both models come with a micro SD slot.